Come see us where it all began in the midst of rolling hills, abundant wildlife, century-old oak trees and native wildflowers. 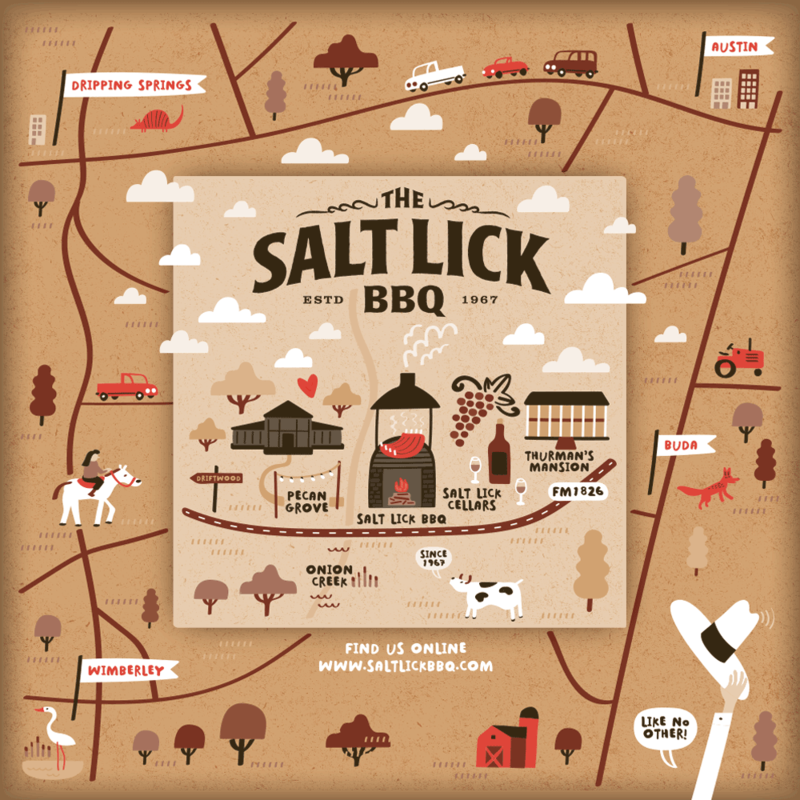 Experience Salt Lick history as you enter the restaurant by our open pit where we have smoked our meats since 1967. 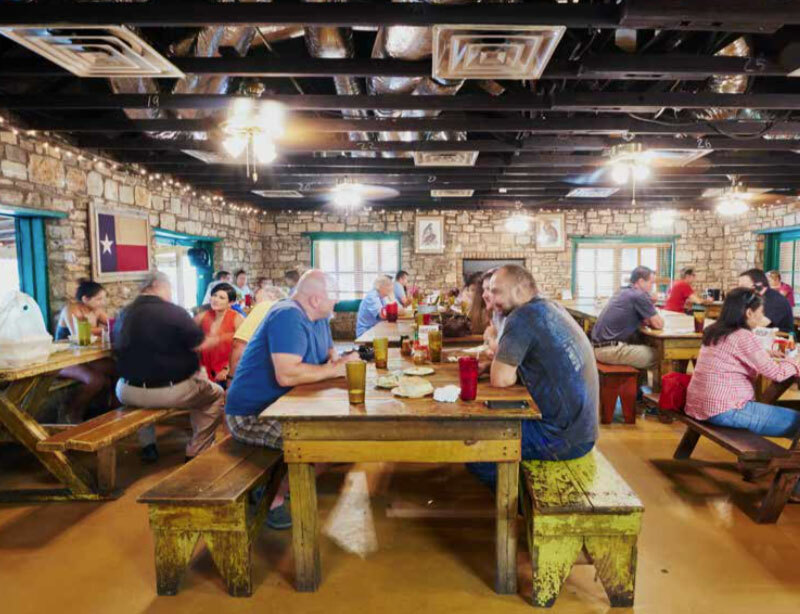 After a short scenic drive from Austin, you will enjoy our legendary mouthwatering barbecue in the beauty of the Texas Hill Country. For your smaller events, we have several Private Dining Rooms available. 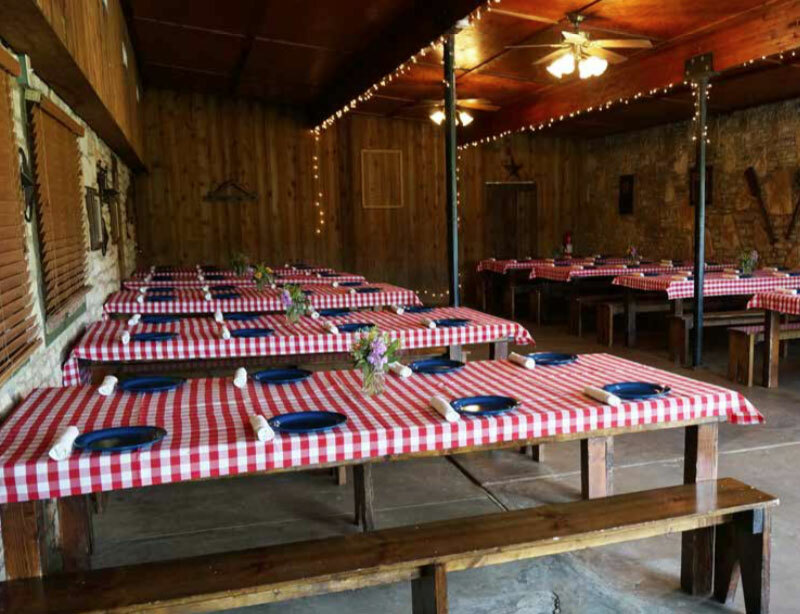 Rustic Salt Lick finishes and intimate rooms for wedding parties, social events and corporate gatherings. Driftwood is open every day from 11am to 10pm. – Only for parties of 10-50 guests. 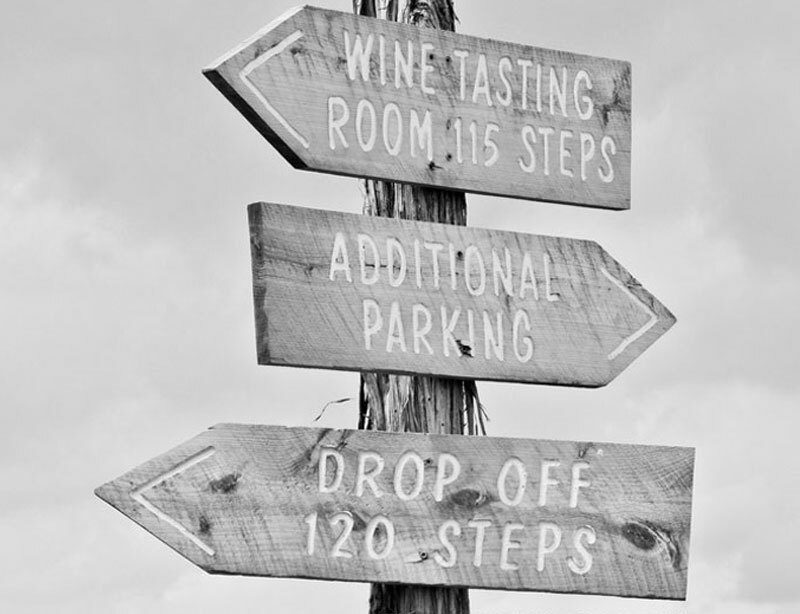 – No reservations between 6-8PM on Sat nights. – We accept reservations 30 days in advance. – Reservations for 20+ are required to do Family Style. Online reservations are only available for the Driftwood location. Bring the greenbacks and your favorite beverages and enjoy great live music on our patio before your barbecue feast begins! 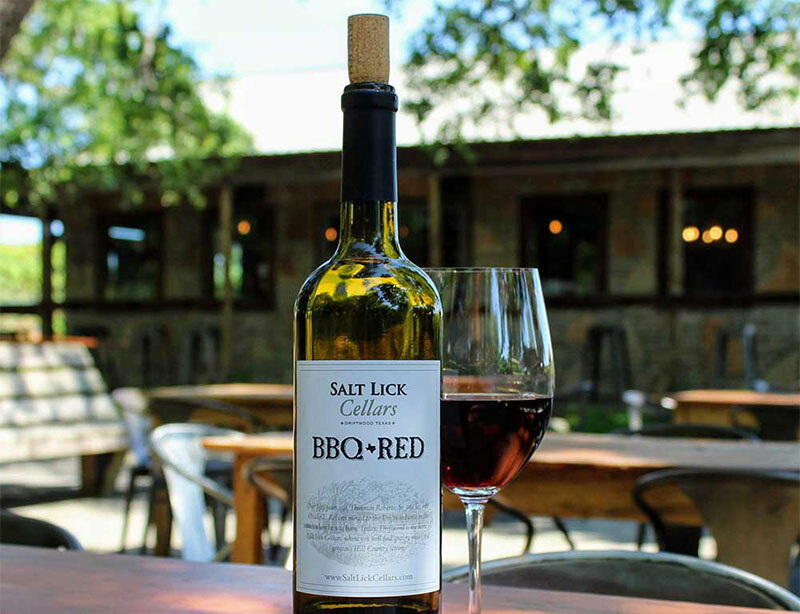 Salt Lick Cellars is next door and has a great selection of Texas wine and beer for sale. Served with potato salad, cole slaw & beans. Bread, pickles & onions on request. Smaller portions for those over 60 and under 11 years old. As big as Texas! Pickles & Onions on request. Romaine lettuce, sliced tomato, purple onions, special sauce. Chopped Brisket, Sausage & Ribs with pickles & onions. With potato salad, cole slaw, beans, pickles and onions.